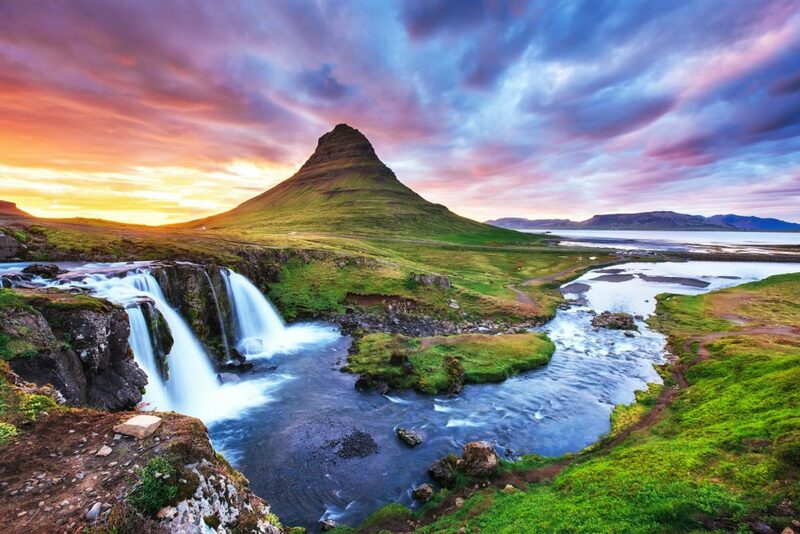 Iceland’s well endowed with waterfalls and the west of the country is no exception. 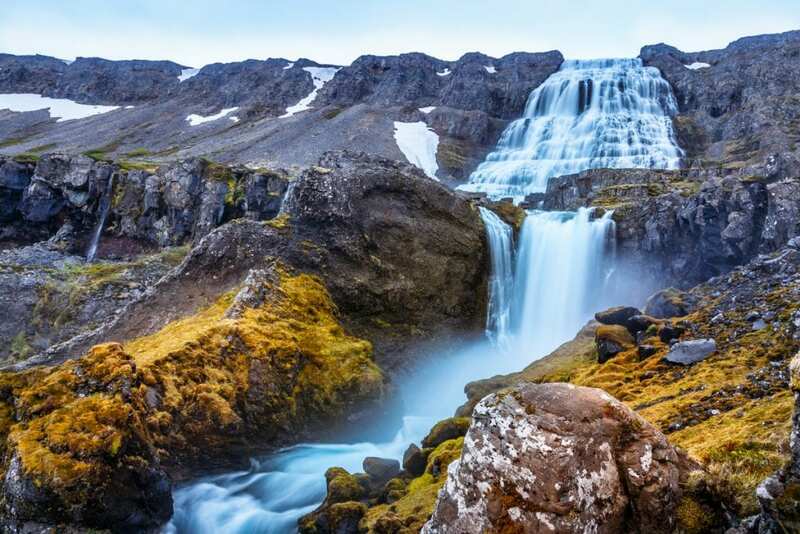 These waterfalls are a must for visitors keen to enjoy some of Iceland’s most spectacular landscapes. Sometimes referred to as the lava waterfalls, water emerges from beneath a lava field before toppling down the rocks into the Hvítá River. Rivulets of water snake around rocky outcrops to fall into rapids in the turquoise-hued pool below. The setting is especially beautiful in autumn when the golds and yellows of the leaves that surround it frame the view spectacularly. 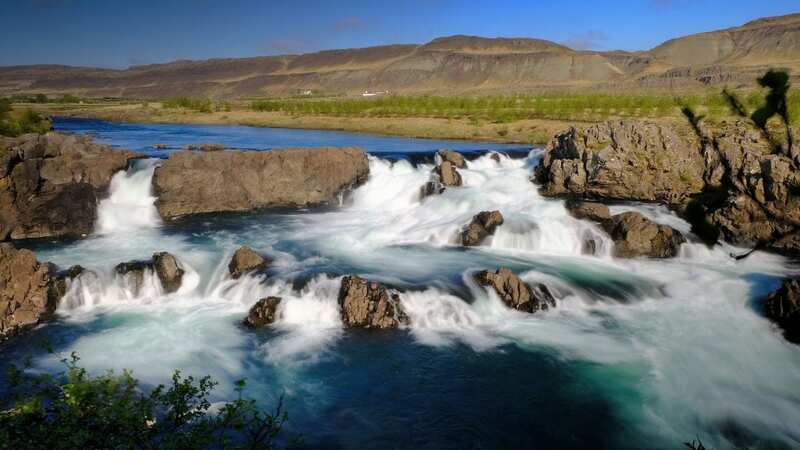 Barnafoss translates as the “children’s waterfall” and takes its name from a story from Icelandic folklore. Legend has it that two children were walking across a stone arch, which served as a natural bridge over the swirling milky waters below. But the bridge collapsed, sending the children to their deaths in the turbulent water below. In her grief, their mother had the stone arch destroyed, leaving the waterfall as you see it today. Impressive Dynjandi or Fjallfoss has the appearance of a bridal veil, cascading about 100 metres down the hill and doubling in width as it reaches the bottom. 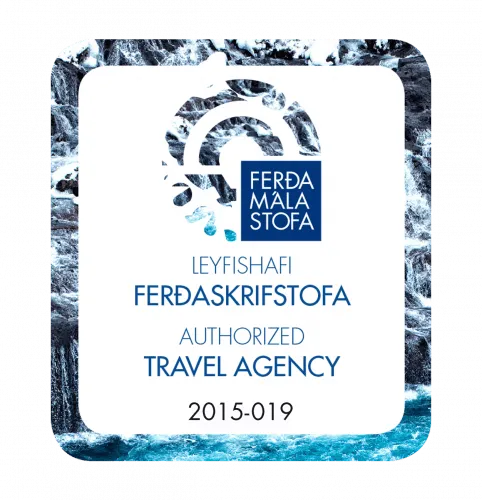 It’s the largest waterfall in the Westfjords and is certainly one of its must-sees. The name translates as thunderous – you’ll understand why as soon as you get close to it. Once you’ve seen enough, head down river as there are other, smaller falls downstream. Majestic Grundarfoss tumbles 70 or so metres over the gorge of the Grundará River. It’s framed by vast sweeping pastures and as such is perhaps as impressive from a distance as it is close up. Though its height is significant, it’s off the beaten tourist trail so there’ll be a good chance you won’t have to share your find. 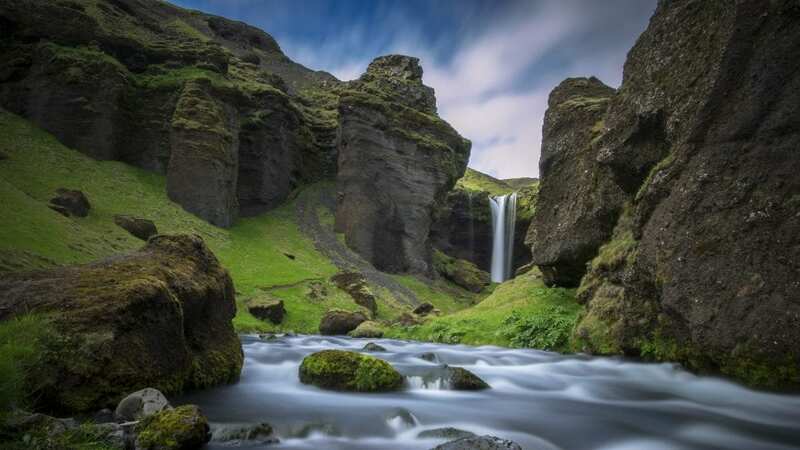 The trio of cascades that pour over the ridge beside Kirkjufell make this one of the prettiest falls in Iceland despite being only five metres high. Iconic Church Mountain alongside it adds a generous helping of drama to what’s an already breathtaking sight. It’s particularly striking in winter when the snow lies thick on the ground beneath and beside it. The serene but instantly recognisable location once helped travellers with navigation; now, they’re keener to snap a photo of this delightful scene. 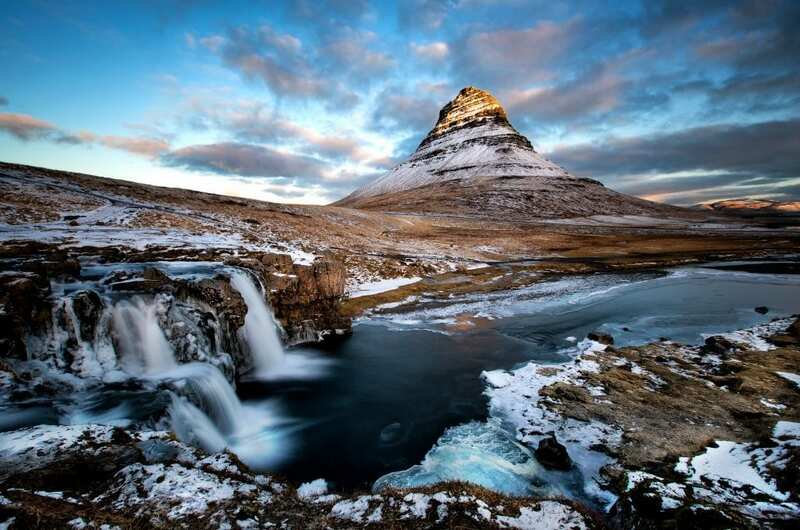 The stark beauty of Kvernáfoss in its rocky setting makes this a favourite with photographers. Located on private land, the local farm will rent horses to help you access the falls, best viewed in late morning after the sun rises behind the mountain. 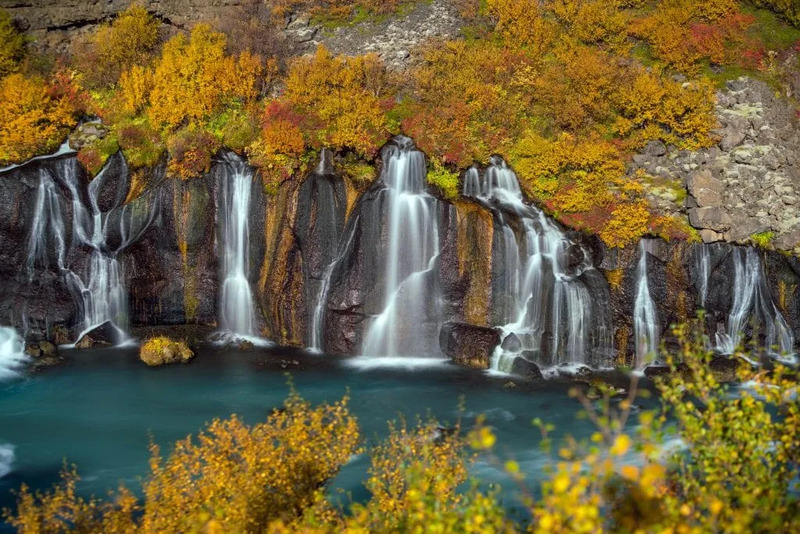 This breathtaking waterfall, whose name means “light”, is surrounded by a series of crooked little birch trees. 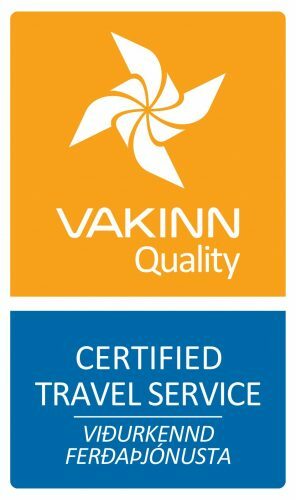 It’s on one of Iceland’s best salmon fishing rivers, so visitors might see the creatures jumping up the falls in summer. 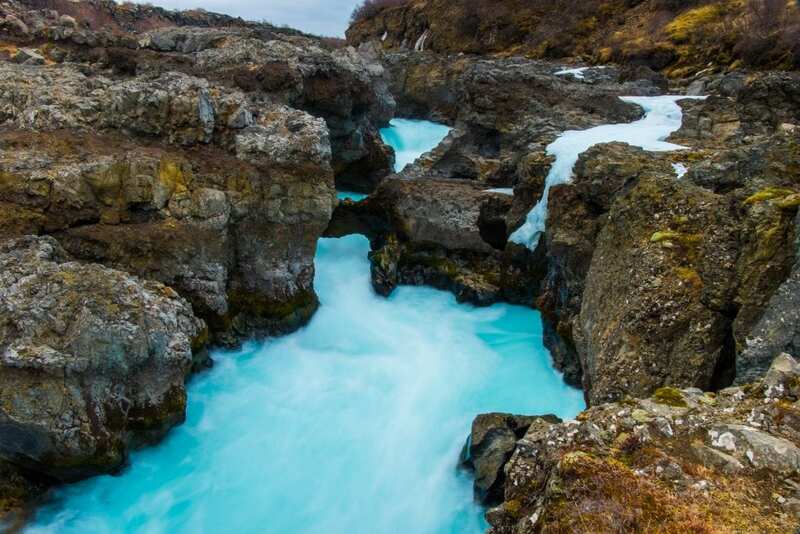 Some say this tiny corner of Iceland is also a favoured hangout for elves and trolls. 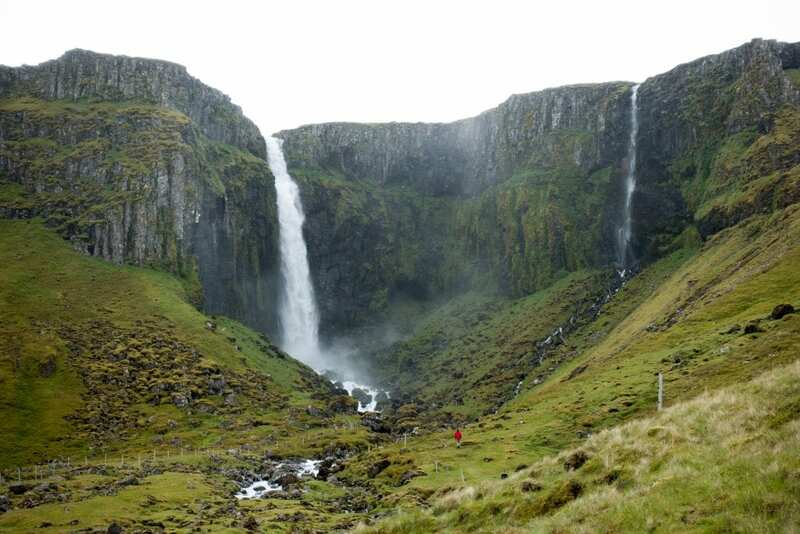 Until 2011, this was considered to be Iceland’s tallest waterfall, measuring 198 metres, but then Morsárfoss was proven to be just a little taller. Glymur requires a little effort from those wishing to view it, but you can actually walk to the top. 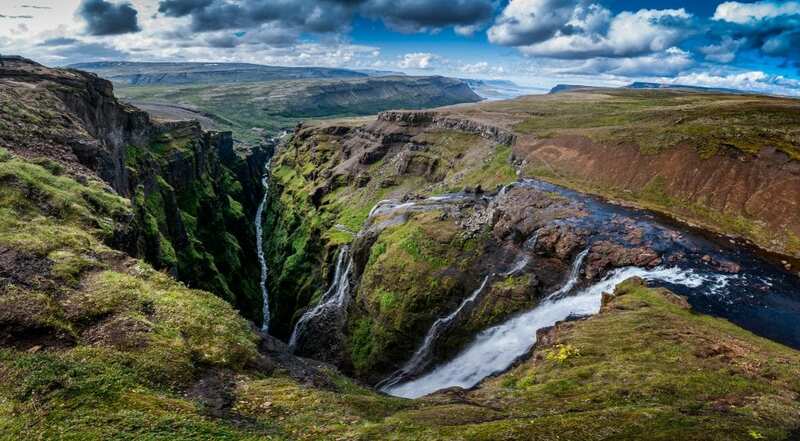 Located in the Botnsdalur Valley, the path that leads to the waterfall is a challenging one and hikers need to allow three or four hours to reach their destination, but it’s more than worth it when you do.